2018 marks the 100th anniversary of the Spanish Flu pandemic and our own Amanda Sprochi was featured in the Missourian’s Looking back on Spanish flu: ‘A serious epidemic of influenza is impending‘. She not only talks about In Flew-Enza: Spanish Flu in Columbia, the exhibit she originally created in 2015, but she also assisted the Missourian reporters with finding library resources for their story. 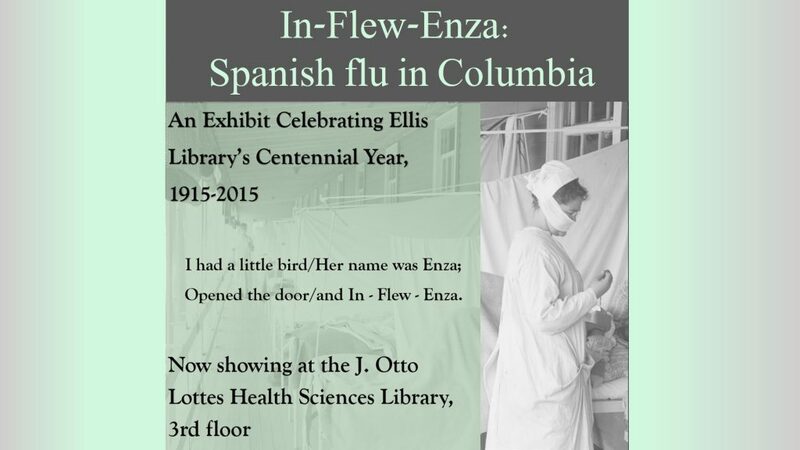 The In Flew-Enza: Spanish Flu in Columbia exhibit currently resides on the 3rd floor of the Health Sciences Library.